Thank you for attending USA Shakuju seminars held in August. This year, there were three days Introductory course in AIMC Berkeley, CA, and two days introductory, two days advanced courses in NESA, Boston. In both seminars, there were lectures in the morning class, and the treatment demonstration by Kobayashi sensei, practical training session in the afternoon. Lectures were started from the idea of qi, which is the basis of Shakuju therapy, and covered the whole procedures of Shakuju therapy. As Kobayashi focused on the lecture, there exist the invisible on the background of the visible, so to change the visible, it is important to affect the invisible. In terms of human body, on the background of the visible (main complaint, symptoms and other reference points), there underlies the invisible (the deficiency of Jing-qi). Shakuju therapy is always targetting on this deficiency of Jing-qi. 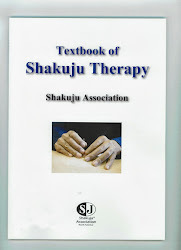 We are happy that more and more acupuncturists are interested in Shakuju therapy in USA.